This is an ACTIVE event for HIM Club members. Would you like to be a part of the fun and excitement? You are what make this event a success. Join us in this new adventure. There’ll be live music plus food at the post-race festival and features a concert on the steps of Oakland City Hall. 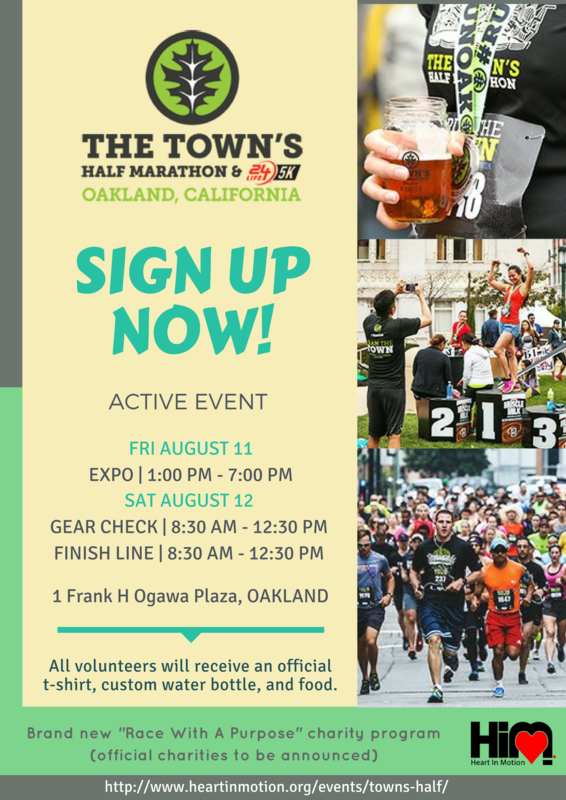 The Expo and Finish Line will be at the historic Frank H. Ogawa Plaza located in the heart of downtown Oakland. We will meet up at the Embarcadero Bart station and bart over to Oakland. We will cover the cost of Bart tickets.